Available with us is the finest quality Twisted Paper Rope Handles that are made by the experts at our own unit. 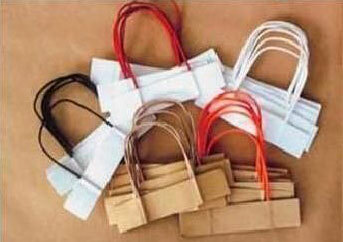 The Twisted Paper Rope Handle, we offer, are used widely for making Paper Bags. These Twisted Paper Rope Handle offer comfort in holding the bags loaded with goods. We offer the Twisted Paper Rope Handle in assorted sizes & specifications to meet the diverse needs of the clients.